Datsun Cross Unveiled In Indonesia – Exterior, Interior, Features, Video, Engine and more! 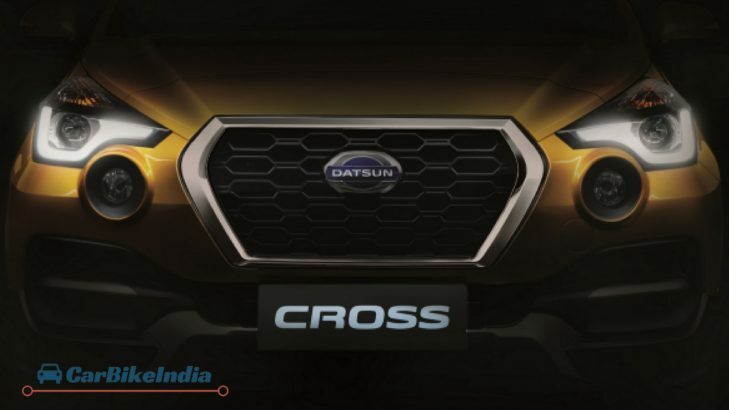 Datsun Cross unveiled for the first time. The 7-seater crossover gets 1.2L petrol engine with CVT gearbox. 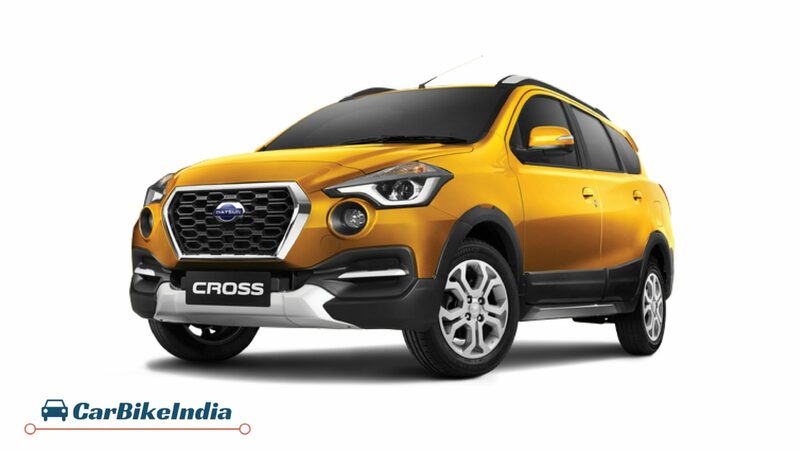 Finally, Datsun has introduced the Datsun Cross globally and the details revealed earlier by CarBikeIndia match accurately with the official details released by the company. This is the first global unveiling of the Datsun Cross that has happened in Indonesia, and the car is now officially called the ‘Cross’, not the ‘Go-Cross’. Previously, the auto-major introduced this car as the Go-Cross Concept at the 2015 Tokyo Motor Show and the Auto Expo 2016. Now, let’s check out the detailed information about the Datsun Cross. 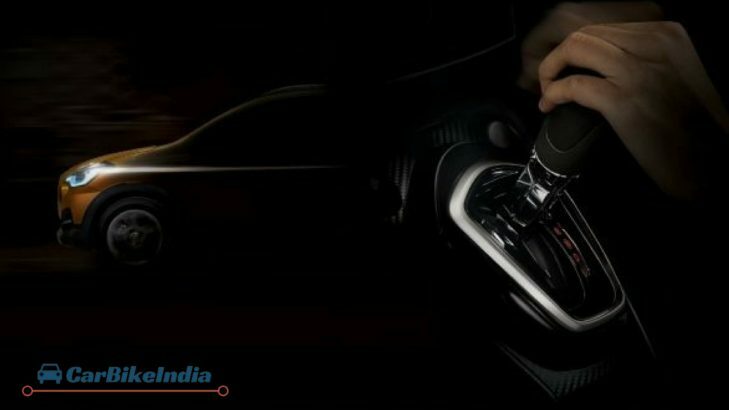 As earlier reported by CarBikeIndia, the Cross comes equipped with a 1.2 Litre 3-cylinder HR 12DE petrol engine that can produce maximum out of 68hp and maximum torque of 104Nm. The engine is taken from its sibling Go+ and is linked to a five speed manual transmission as a standard offering. However, the company has also introduced this car with an exclusive CVT automatic gearbox. As far as the brakes are concerned, the Cross gets discs brakes in the front and drum brakes at the rear. There is no diesel engine to offer in the line-up. The Datsun Cross is introduced as the new generation crossover and is no doubt much more appealing than its siblings. The car is very well characterized as the urban as well as rugged crossover. The front is quite mesmerizing with the features like Signature Grille, Projector & LED Signature Headlamps and Stylish Circular Fog Lights. The sides feature faux skid plates along with large 15 inches wheels. Around the profile, you will notice stylish under protectors. The rear profile gets features like attractive Roof Spoiler with High Mounted Stop Lamp, Chrome Exhausts, Stylish Bumper and Sporty Tailgate, while at the top the car features modish Roof Rails that can bear luggage weight of up to 30 kilograms. To make the drive hassle-free on uneven roads, Datsun has blessed the Cross with a high stance and the ground clearance of 200mm. Inside, the Datsun Cross is as attractive as its exterior. The car is capacious enough to occupy 7 passengers comfortably. There is a 3-row seating arrangement with ample of room and the seats are all black in colour and get silver double stitch. Being at the driver’s seat, you will be pleased to see the appealing dash and especially, the Meter Cluster with Independent Tachometer will catch your attention. 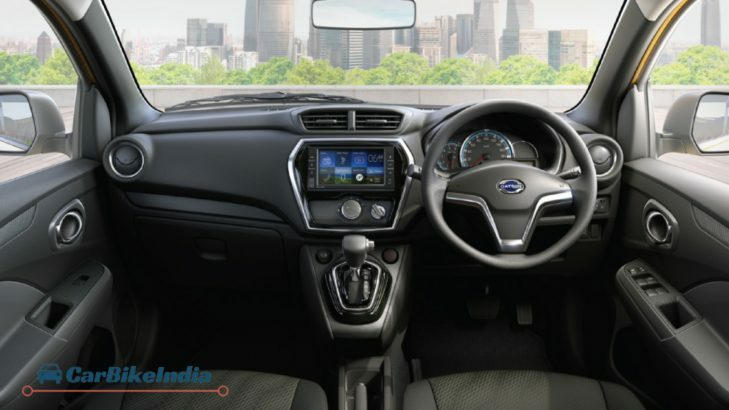 To make the drive effortless, Datsun has loaded the Cross with many surprising features such as Auto Light System, Rear Parking Sensors, Adjustable Electric Door Mirrors with Side Turn Lamps etc. There is also a 6.75 inches Head Unit Touch Screen that features Bluetooth, AUX-In, USB and Smartphone connectivity. In addition, you will notice ample of storage compartments on the dash as well as doors. The Cross ensures passenger safety very well and is introduced with features like Dual Front Airbags, Anti-lock Braking System (ABS) and Vehicle Dynamic Control (VDC). The Datsun Cross is reported to be introduced in the Indian car market later this year and price is expected to fall in the range of Rs. 4 lakh to 5 lakh. 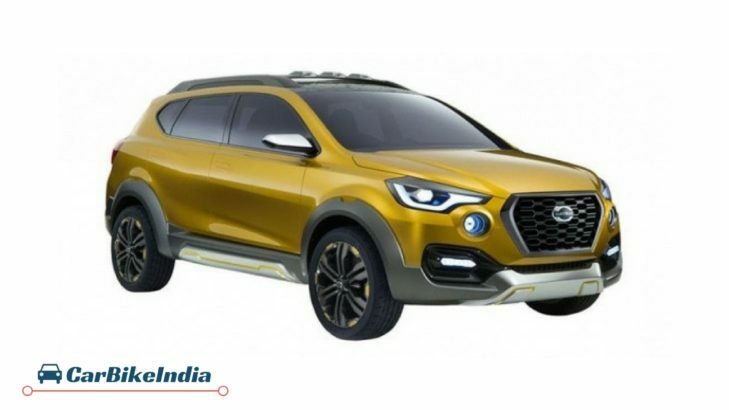 If introduced in India, the Datsun Cross will compete with cars like Mahindra KUV100 NXT, Maruti Celerio X, Tata Nexon, Maruti Vitara Brezza, Honda BR-V and New Ford EcoSport.